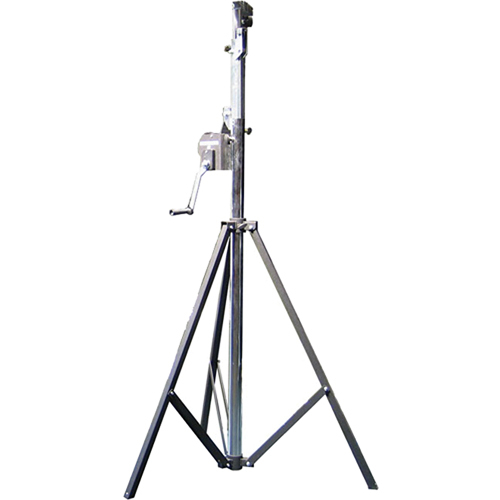 The Marathon Crank 3000 Heavy Duty Crank Stand is an integral part of the Truss 3000 SQ System for temporarily mounting DJ lighting at an event. 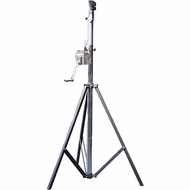 This stand (in conjunction with another Crank 3000 stand, not included) and the truss (not included) with T-adapters (not included) allows you to mount and raise your lights to a maximum of 18' (5.5 m). This system supports a maximum weight of 550 lbs (249.5 kg).